Fairfield, Connecticut, offers a safe suburban campus with access to internships at Fortune500 companies and an easy drive or commuter rail ride to New York City (88 kilometers) and Boston (241 kilometers). Sacred Heart University is SAT/ACT test optional with accelerated degree plans for many majors and an exciting campus life with state-of-the-art technology. Type of SCHOOL: Founded in 1963, Sacred Heart University is a private Catholic, coeducational, residential four-year liberal arts institution granting bachelor’s and master’s degrees, as well as doctorate degrees in Physical Therapy and Nursing Practice. 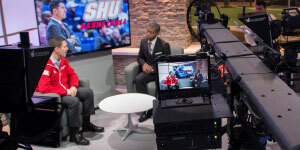 As the first lay-led Catholic university in the United States and the second-largest Catholic university in New England, SHU is one of the fastest-growing universities in the Northeast. Size of campus: The campus is safe, tree lined, and suburban and has doubled in size to 135 acres with the recent purchase of 66 acres, the former world headquarters of General Electric (GE), located a quarter mile from campus. SHU borders a public 18-hole golf course and owns Great River Golf Club 10 miles from campus. Number of Faculty: 281 full-time and 521 part-time faculty, with 79% of full-time faculty holding terminal degrees in their fields; a student-faculty ratio of 15:1 and an average undergraduate class size of 22 offer opportunities to work side-by-side with faculty; no teaching assistants or graduate students teach classes. Colleges, Programs, and Degrees: The most popular programs that interest international students include Business, Chemistry, Communication and Media Studies, Computer Science, Criminal Justice, Fashion Design, Fashion Marketing and Merchandising, Game Design and Development, Hospitality and Tourism Management, Psychology, Sport Management, and STEM options with partners Columbia University and Rensselaer Polytechnic Institute. International Student Services: International student services include New Student Orientation, F-1 student visa preparation and interview coaching, assistance with travel arrangements, access to volunteer service and study abroad, internships, career counseling and placement, and job fairs. The on-campus intensive English Language Institute located inthe heart of campus offers personal attention and small classes. Assistance is given to students wishing to find places of worship on or near campus, and a celebration of world religions and international holidays adds richness to the fabric of diversity on campus. International Education Week is an exciting time to showcase your culture and make friends. Financial Aid: Competitive renewable scholarships up to $17,500 based on merit are open to all students. US and non-US citizens areautomatically considered. Additional grants up to $4,000 are available by audition to students participating in dance, theatre, band, and choir. Test Score Requirements: TOEFL 550 PBT or 80 iBT; 6.5 IELTS; 65 Duolingo; 62 PTE; 5 ITEP; 5.5 Cambridge Certificates (CEA or CPE); ELS 112; EF C1; Eiken Pre-1; conditional admission is possible with enrollment in SHU’s CEA-accredited English Language Institute. Many majors offer an accelerated graduate or dual-degree program option. The region around Fairfield and Greater New York City boasts the third-highest concentration of Fortune 500 companies in the United States, world-class hospitals, a nationally ranked education system, and countless sites to gain relevant work experience. In fact, our internship and Pioneer network job database includes over 10,000 employers, many at international companies with names recognized around the world. Eighty percent of graduating seniors report participation in at least one internship, practicum, or field experience, and 95% of 2016 graduates seeking employment were employed full time or attending graduate school in accelerated combination undergraduate-graduate programs and at top institutions throughout the United States. Two SHU international campuses in Europe—in Luxembourg and Ireland—and 60+ study abroad destinations add value to the student experience. 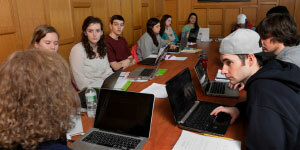 SHU’s unique Major in Success program offers first-year students a personalized comprehensive program of major exploration, one-on-one coaching, and an assessment of strengths and interests so students can choose a major with confidence that it’s a good match. At one of the fastest-growing Catholic universities in the US (top 10, The Chronicle of Higher Education), students enjoy a beautiful, contemporary campus with many outstanding new facilities: the Healthcare Education Center, the Business & Communications Center with TV studio, green screen/digital motion capture classrooms, and a Finance Lab with a real-time Wall Street Bloomberg “ticker.” New residence halls on campus include fitness centers, a computer gaming lounge, and a Business student–run ice cream shop. 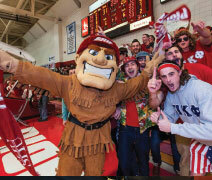 SHU’s rich student-life program offers over 80 student organizations, popular performing arts groups (band, chorale, theatre, and dance), media clubs, Greek life, 29 club sports, 32 Division I varsity athletics, community service, ministry, leadership, student government, multicultural organizations, and academic honor societies. Every year, students enjoy popular concerts and guest speakers across the disciplines, including sports figures, authors, philanthropists, and many more. The Princeton Review includes SHU in its 2018 list of The Best 382 Colleges in the US, recognizing the Gaming Design program, Best College Theatre (#18), and Community Service (#20). SHU’s Jack Welch College of Business is among an elite membership of the top 5% of Business schools worldwide accredited by AACSB International, the premier global accrediting body for schools of Business. Students take an award-winning liberal arts core curriculum, listed in the top four “Most Innovative Universities in the North,” according to U.S. News & World Report. SHU’s Doctor of Physical Therapy also ranks #1 in Connecticut. Major international airports make travel to SHU easy, often with direct flights around the world to JFK (New York) and Bradley (Hartford, Connecticut). Trains to and from New York City, Boston, and Washington, DC, begin with a free shuttle to the transit station five miles from campus.